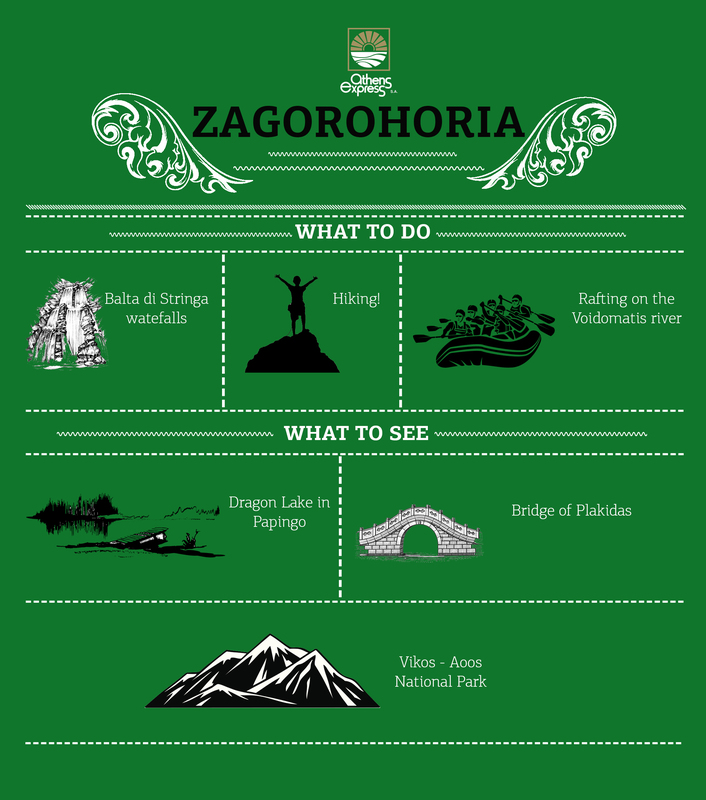 Tucked away in the sleepy mountain range of Pindos lie the 48 villages popularly known as the Zagorohoria. The Zagorohoria aren’t your typical Greek village. Heck, even their name is Slavic -zagor means mountain pass- as back then large swaths of northern Greece where under Slavic backed Ottoman rule. During the Ottoman occupation of Greece, this area enjoyed a relative semi-autonomous life of privileges in exchange for safe keeping of the mountainous passages, thus allowing a great degree of freedom that translated into greater wealth and possibilities for the local noblesse. They in turn, made these pockets of picturesque, bucolic heaven that still stand today, as a reminder that simplicity very often trumps any sense of opulence and extravagance. This is the ultimate winter paradise for couples on a honeymoon in Greece, or families looking for some clean air and some winter sports opportunities. The Vikos Gorge, one of the largest in the world, is the main attraction here. Several tours offer hiking trips and even kayaking trips down the Voidomatis river. Classed as a 2, it is comfortable enough for the most inexperienced kayakers out there but still gnarly enough to get your blood rate going. The Vikos-Aoos National Park is perhaps the most striking park in Greece. The Vikos gorge at 1,600 feet can lay claim to be the deepest in the world and its home to a surprising amount of endemic fauna and flora. Along the neatly signposted routes there are tranquil pockets of meal opportunities, so rest assured, you won’t have to eat your accompanying donkey if you get pekish. People from all over the world travel to Greece just to tame Vikos, so you know you’re in for a trek. If you’re more of a watery kind of person, then look no further than the Iliohori waterfalls or the Dragon Lake, near Papingos village. The traditional stone mansions of the villages (arhontika) are a wonderful example of alpine architecture and combine modern comfort with classic charm in a way that is reminiscent of a Swiss ski chalet. There is a distinct agrarian feel to the Zagorohoria, one that takes you back to your childhood, to a time less complicated. Right now, the Zagorohoria are easily Greece’s best kept winter secret, something you should take full advantage of and avoid the inevitable torrent of people that will descend upon it’s beautiful green slopes. A holiday in Greece doesn’t just mean white and blue. In this corner of Greece the prevailing colors are green and brown. Every hue. No tourists. Satisfaction guaranteed.